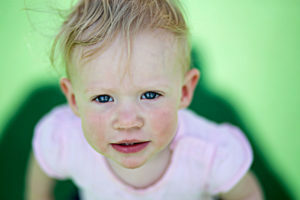 Turning 12 months old is an important milestone in your child’s life. Toddler development begins in the Butterfly and Ladybug Rooms, as the children begin to develop a sense of their innate nature to be curious, explore, and discover new things. The supportive atmosphere at Milestones Early Educational Community enhances learning through curiosity, creativity, and self-expression. Through a series of play-based activities, toddlers will advance their coordination and sensory skills and perform tasks such as turning pages in a book and scribbling back and forth with a crayon, as well as verbal (pronouncing new words other than “mama” and “dada”) and manual communication (sign language). Children also develop a more synchronized schedule, as they begin to eat and rest at the same time as the other children and at the same time each day. Naps become an integral part of the child’s day, as developing a routine in daily activities becomes customary. This also provides children with a higher sense of trust in the supportive environment that Milestones provides. Communication plays a large role for the parents, just as it does for the child. That’s why Milestones stresses the importance of providing continuous monitoring for parents in regards to their child’s daily routines. Milestones uses an app called MyChild which allows us to communicate with parents about their daily routines all throughout the day, in real time. We understand that parents want to stay connected with their children when they’re apart, and we feel that MyChild works very well at keeping all parties updated. Milestones also sends home a monthly newsletter that describes what we are doing in each classroom, what we touched on last month, and what is to come. It also lists any special days or events coming up, and gives parents reminders about important things going on in the center. We strongly value the importance of the conversations we have with parents at drop off and pick up times and believe this is what sets us apart as the most dedicated, reliable and trustworthy childcare center in the area.